I often field questions from potential clients asking what exactly their newborn session will be like. Many of you have questions on what you need to do to prepare for your in-home photo session, if you need to supply your own props, how to prepare your baby or their siblings (or even pets! ), etc.. Today on the blog, I am talking all about newborn sessions and breaking down how to get the MOST out of your session with the LEAST amount of stress! Mamas, you just had a baby, you don't need a giant to do list just go get those photographs you are hoping for! Here is the inside scoop on exactly how to rock your newborn session. 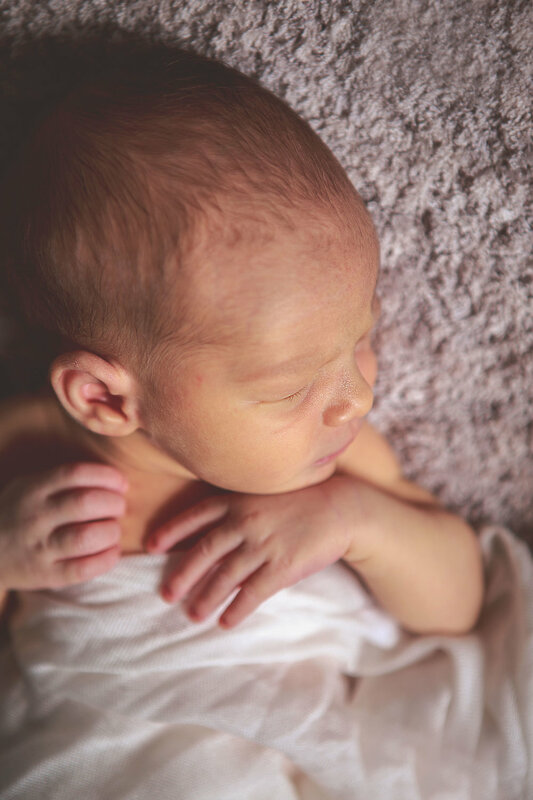 Let's jump right in, Mamas you do not need to deep clean your house in order to have a successful in-home newborn session. When I come to your home, I am on the hunt for beautiful light, first and foremost. If you are immediately worried because you believe your home has no decent natural light, there is ALWAYS a way! 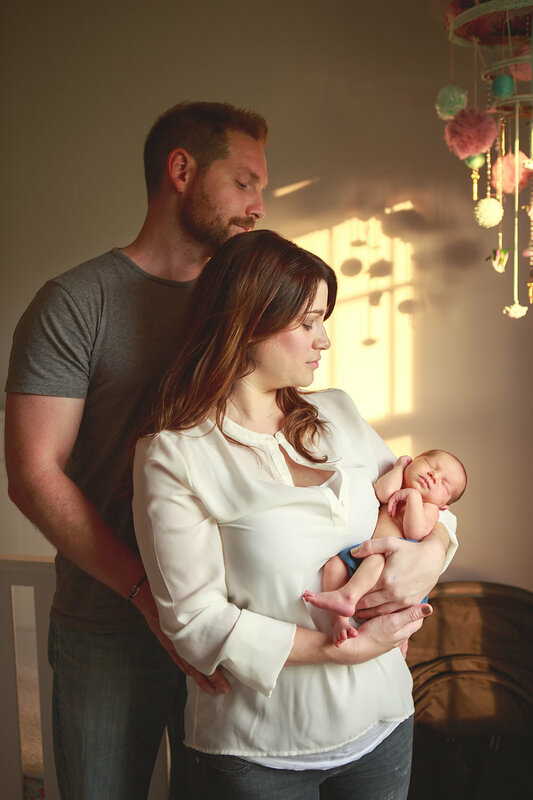 Glass patio doors, opening the front door and standing near the doorway, if it's a beautiful day outside, we can even spend a few minutes outdoors and take advantage of mother nature, there has never been a newborn session where the lighting was just impossible. The only thing I typically ask Mom & Dad to do to prepare their home is to turn the heat up a little bit because babies love to be warm and cozy, and this usually helps to keep them comfortable if we happen to need to do an outfit change or two. 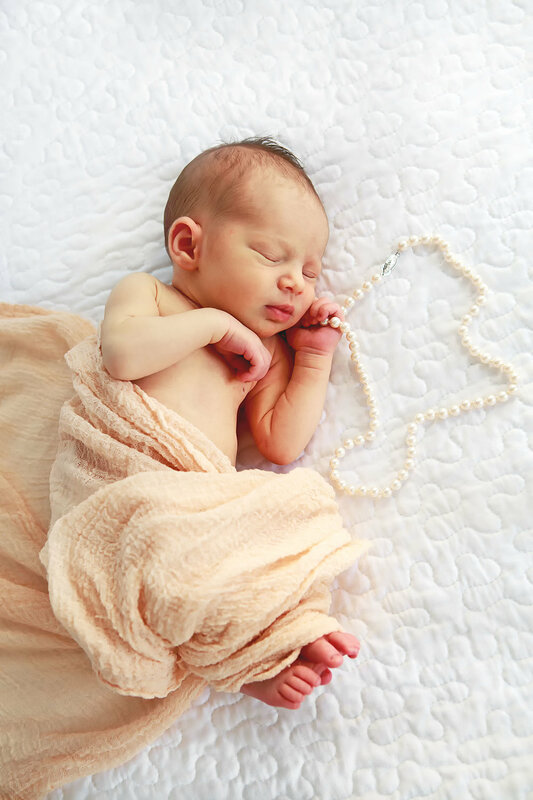 Typically, parents love images of their newborn in the nursery they have created for them. Photographing your baby surrounded by those special items you have chosen for them is always sure to fill your gallery with special images for you! Baby in their crib, being rocked by Mom & Dad in their rocking chair, these images showcase those first moments together in your home. I do suggest that if you have something special or an heirloom item that you would like photographed, just have it handy so we can incorporate the special items into your images as the photo session unfolds. My passion is to photograph your family in a natural, documentary style while focusing on beautiful portraits of your newborn in their home. I will not show up to your newborn session with backdrops and backdrop stands, tons of baskets or buckets to position your baby in, etc. Some photographers do a fantastic job with this style of newborn photography, but it is just not what I do. My goal with every newborn session is to capture images that focus on those beautiful newborn baby details: tiny baby toes, the way their finger hand wraps around your finger, sweet baby cheeks, all of those little details that change so quickly over the first few weeks. I want my clients to be able to look back and remember just how little their baby was! 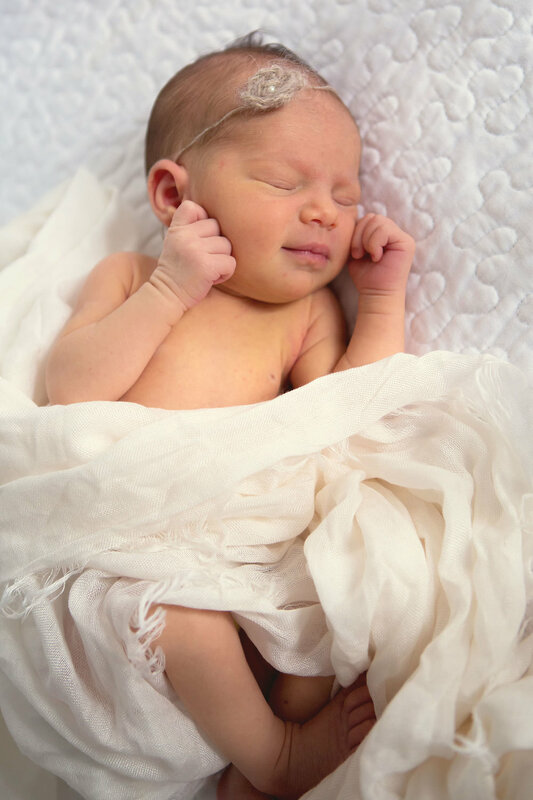 I love more natural images and will position your baby in their home with a selection of neutral blankets and knit hats if you would like, without getting too set-up and posed. I do suggest that if you have something special or an heirloom item that you would like photographed, just have it handy so we can incorporate the special items into your images as the photo session unfolds. Often times I will take a step back after asking parents to just sit together with their baby somewhere comfortable in their home, and these gorgeous images unfold naturally as the parents enjoy this priceless moment with their sweet child. 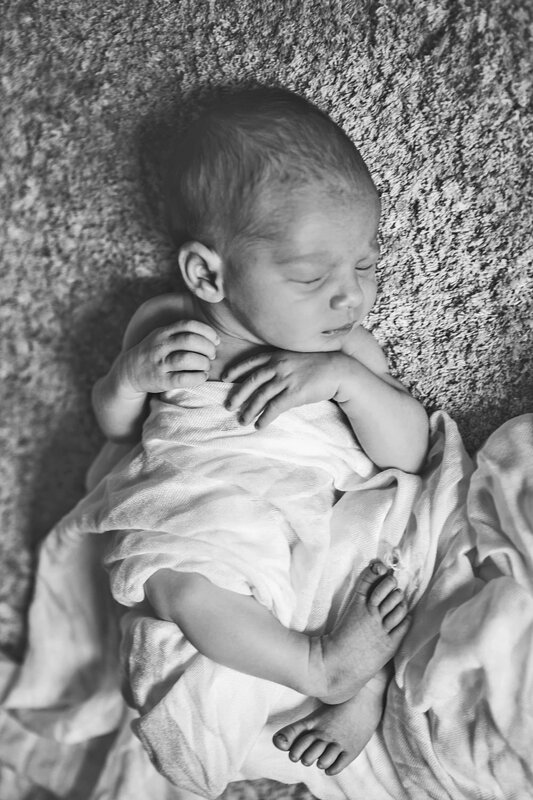 Take a peek at this fantastic newborn session with siblings, look how cute those kiddos are with their new brother, and all I did was get them to sit together on the bed and look at him. Those loving expressions are just reactions to their new little brother! Tip Three │New Parents: Get in the Photographs! One hour? Two hours? Three hours? The length of your photo session will completely depend on your newborn. Plan on taking a break to feed, change, feed, cuddle, feed, change, burp, feed your newborn any and every single time they need you. These pauses do not hurt the photo session process in the least! My goal is to keep you and your baby as comfortable and relaxed as possible, and I would never push through just to try to keep the session to a set end time. We may go a little over on time, we may have a miracle occur and be able to capture amazing images in just one hour! It's a toss up, and you just never know. 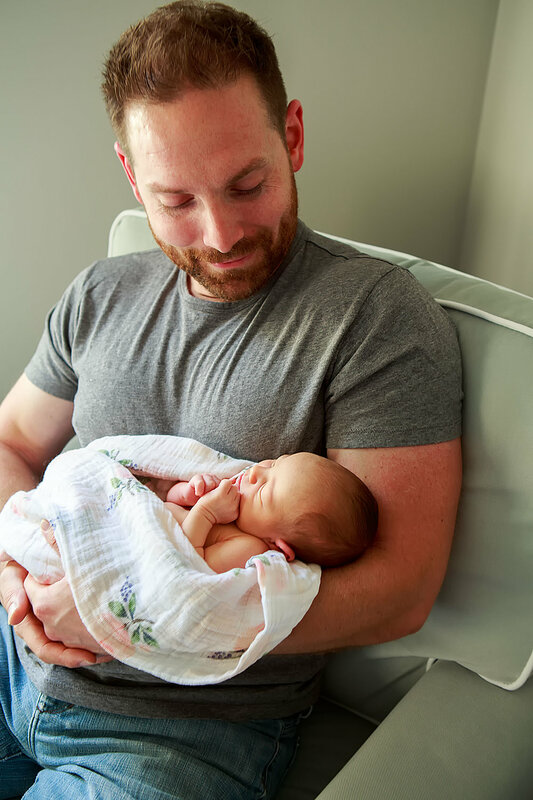 The best way for you to prepare your newborn for this session is to do what you can to make sure they are fed, burped and changed as close to our start time as possible, and then after that we just play it by ear! When your baby needs you, we stop and get them settled again, and that's all part of a typical newborn session. P.S. those sweet parenting moments make for beautiful natural images for your gallery! I usually swoop in like a photo-ninja and focus on baby details while they are in the settling down moments, which I adore! 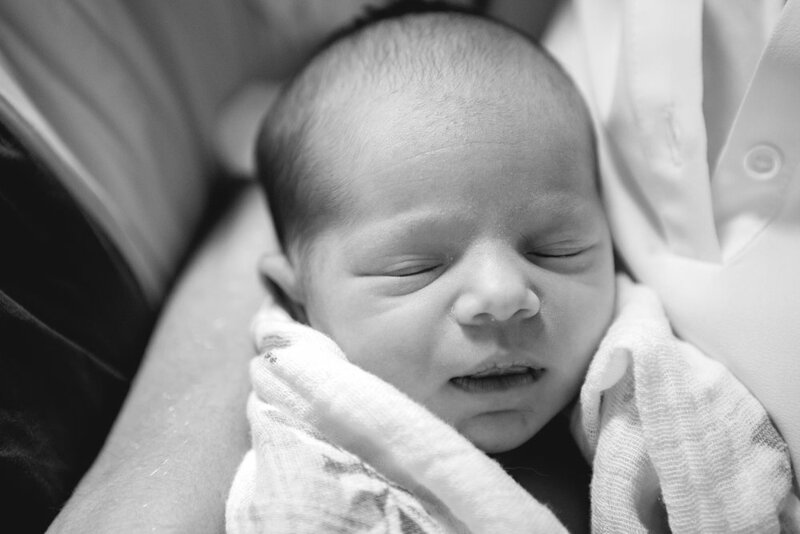 Check out this little love, Baby Jesse, and his newborn session. 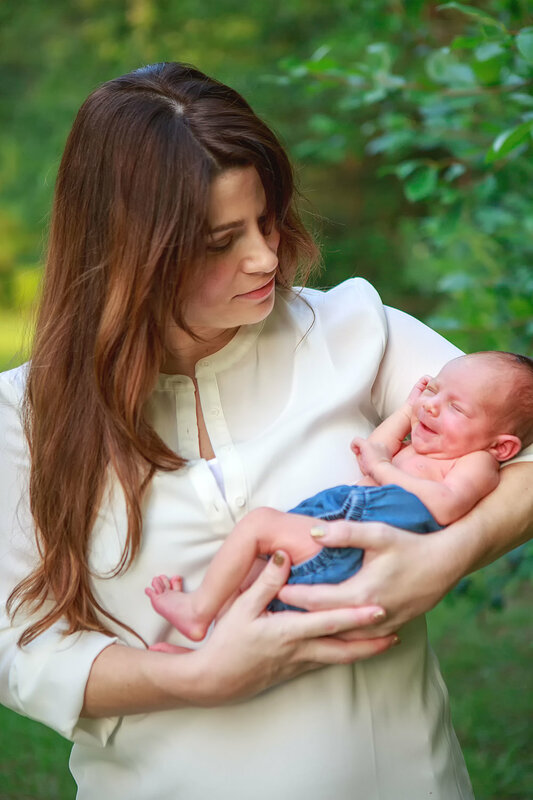 Jesse needed Laryn to snuggle him many times at this session, which was adorable, but probably made Mom worry that we would never be able to get photos! Some of my favorite images of her sweet boy are from this session, she had nothing to worry about! 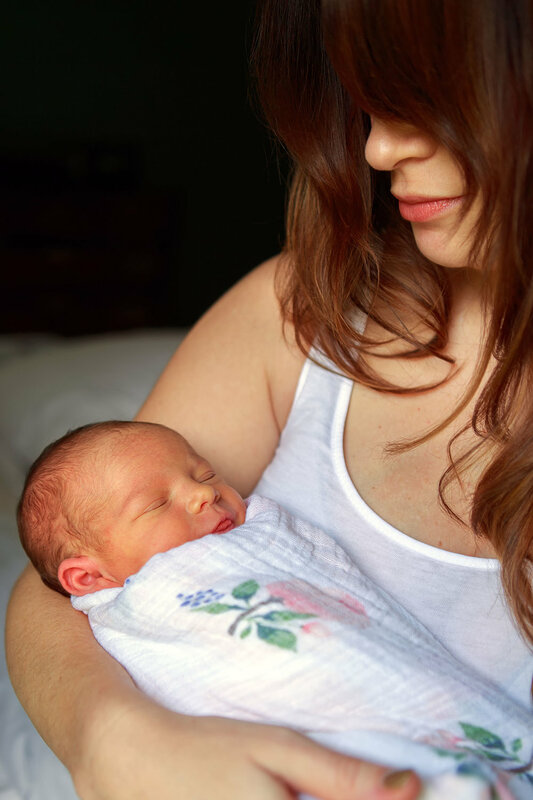 The best time to do an in-home newborn session is within the first two weeks, if possible. This is that little stretch of time when your baby will feel and look completely brand new. Ideally, after our maternity session, we will get you on the calendar for your tentative newborn session date and adjust as necessary depending on baby's birthday! Sometimes, newborn sessions have to be done later on because of each baby's circumstance, health issues, etc. and that is not a problem. No matter when your baby is welcomed home, your newborn session can be a success!